Silsila Ruhaan questions Mishti. Ruhaan refuses to leave Mishti’s house. He demands that he will stay there and prove his righteousness. He doesn’t want to leave like a coward and wrong doer. Veer asks Mishti to realize her mistake and apologize to Ruhaan. He gets much upset with Mishti. Mishti apologizes to Ruhaan after realizing her mistakes. Ansh apologizes to Radhika. He promises to not make such mistakes again. Arnav wants to be with Pari’s family. He doesn’t want Ansh to run away. He tells Ansh that he shouldn’t choose wrong things in life. 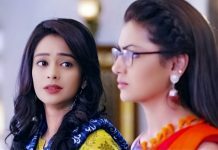 Sukamini wants to be with Radhika and share her sorrow. Taani tells her that they should just leave as of now. Veer feels angered on Ruhaan’s humiliation. Mishti runs to apologize to him. He tells her that she has behaved really bad with Ruhaan. He feels he doesn’t know the real Mishti yet. He tells her that he has seen her new side, and is much disappointed. He just knows sweet and simple Mishti. He thinks he still has to know Mishti. Pari apologizes to Ruhaan on Mishti’s behalf and helps him in unpacking his bags. Ruhaan knows Mishti’s problem. He still keeps everything concealed. He doesn’t want to tell anyone about Mishti and his first meet. Ruhaan connects with Pari’s emotions. He asks her not to compromise with her self respect. He apologizes to vent anger on her. Pari wishes Mishti and Ruhaan’s bitterness ends. Ruhaan finds Mishti upset and feels bad for her. 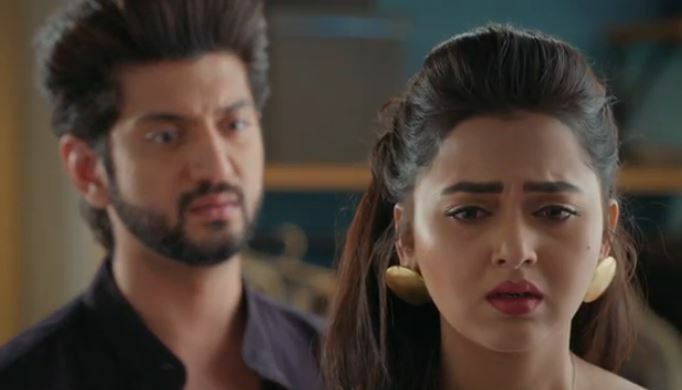 He is also much upset and understands Mishti’s pain. He wishes to share her pain and console her. He wants to know why is she behaving in such a way. Pari gets happy to get a friend in Ruhaan. She also feels like she loves him. Mishti cares for Pari. Pari shares her feelings for Ruhaan. She tells Mishti that Ruhaan had beaten his friend a lot and got hurt as well. Mishti realizes how wrong she was about Ruhaan. She finds Ruhaan a protective person. Mishti too feels that Ruhaan is caring. Pari goes to break her love confession to Ruhaan.